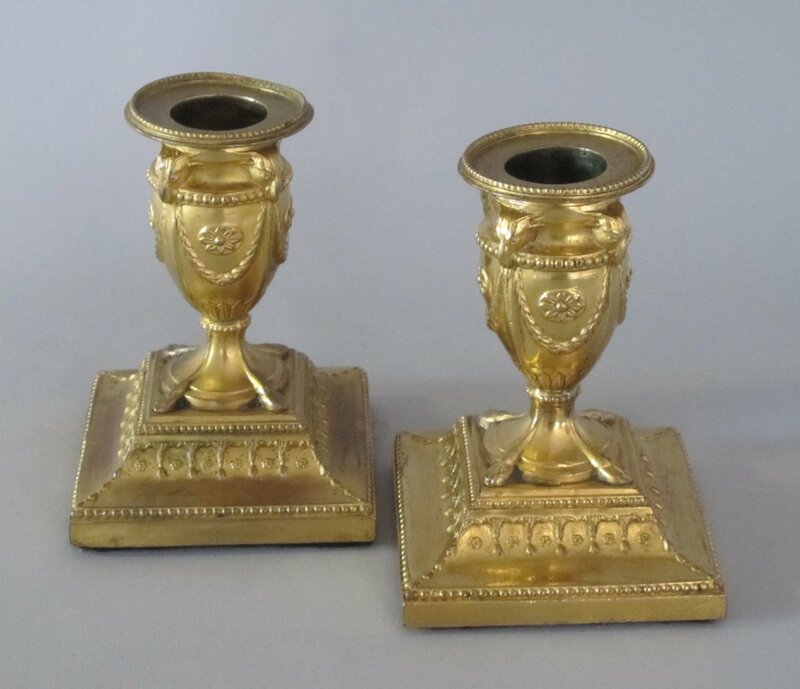 A RARE PAIR OF CAST COPPER & GILDED DWARF CANDLESTICKS IN THE NEOCLASSICAL STYLE. GEORGE III, CIRCA 1775. Illustrated in G. Crosskey, Old Sheffield Plate, Treffry Publishing, 2011. Fig400c, page 299.